I do that and the 160 pixel difference is truly negligible. I disagree. I run a T450 with a 1080p display which I dock to a 1200p monitor and the extra 120 pixels I find VERY noticeable and helpful. When I code...I find 120 pixels enough to throw in a console window while still having ~1000 pixels for code. EDIT: Whoops I just realized you were talking about horizontal pixels. I run a T450 with a 1080p display which I dock to a 1200p monitor and the extra 120 pixels I find VERY noticeable and helpful. When I code...I find 120 pixels enough to throw in a console window while still having ~1000 pixels for code. Yes, I use 1600x1200 external monitor and it is still better than 1920x1080 resolution. I tried to move the taskbar to the right edge on 1080 one but still not as good as 1200 horizontal pixels. Anyway, I found 1200 low as well so next monitor will be 4K. L390 Yoga with very, very slim bezels. Interesting. L390 without such slim bezels. Hmm, oh well. Edit : seems weird, both quote 1920x1080 13.3" displays and the same 322 mm x 224.2 mm x 18.8 mm dimensions so something's wrong ? Actually notebookckeck has a different, and more corresponding L390 Yoga picture, so god knows which model the image on the hk lenovo website actually is. Maybe someone got carried away mocking-up the display in the images ? Another edit : what was I thinking ... the L390's were the ones I originally linked to in this very thread. I guess I was so excited about them, I wiped them from my memory, and thought another couple of new models had been released. And then got excited by super-slim bezels ("I want to believe"). I even checked it was an actual lenovo page. I didn't account for Lenovo being completely, utterly, grossly incompetent. Shouldn't have cracked the laptop open. Back to Christmas. Sorry ! Last edited by amardeep on Tue Dec 25, 2018 3:40 pm, edited 3 times in total. L390yoga is indeed interesting. Probably smaller footprint than the X290 which i find ugly. just a question: where is the webcam? The L390 Yoga looks like a bad render. But it can have less [censored] panel (but glossy) than regular L390. yep, it IS a fake render. So another step down Lenovo did, to provide (intentional?) fake pictures. Aren't they able to compete with Dell XPS? Why make a competing product when you can make competing renders and not give customers refunds? You might be surprised at the timing this year. Hint: Everything is late. Can you shed more light on this ? Does this mean that new models will be announced at CES but won't ship for some time, or announcements will be pushed back to later in the year ? Edit (7 Jan) : am I going nuts, or has the big countdown ticker at https://www.lenovo.com/us/en/events/ces gone back up by a day or so since I last looked ? Not exactly what I thought was meant by "everything is late" ! One thing's for sure, the bad L390 Yoga renders are still on the lenovo hk site. Odd. Additional edit : nope it really happened, see topic here on reddit. What a mad way to run a company. So, not a lot happened at CES. Inremental changes for the 7th generation X1 Carbon as mentioned above (and here's another link about it at anandtech). The announcement of the refreshed X1 Yoga (again, at anandtech). There was also an E490s. I suppose the biggest news was the aluminium case on the X1 Yoga (it could do with being a bit darker, so it looks more like a Thinkpad !). Both X1 models aren't due until mid-year (waiting for CPUs I guess), so maybe there'll be announcements about the rest of the range sometime around then ? Or maybe the 80-series stuff carries on until CES 2020 ? Snooze. Rumor is that this years generation is delayed because of Intel's supply issue (source: Lenovo retailer who posts in the German ThinkPad Forum). That is why the X1 models will only be released mid year and why the other models have not been announced yet. These models will definitely get announced at some point in 2019. 2020 is the next-generation past Tx90 (whatever they are called) with Ice Lake. Intel binned any attempt at die shrinkage this year and told the financial community they would have supply issues meeting demand going forward in 2019 in a pre-xmas conference call with analysts. Now is it just generic laptop with a lot of issues as other brands have, or even worse. I disagree with that as well. The relative qualities of Thinkpads vs other brands has not really changed for as far as I can remember. Ever since I joined this forum, people have always been saying that "Thinkpads are getting worse". In some ways they did, in others they got better. 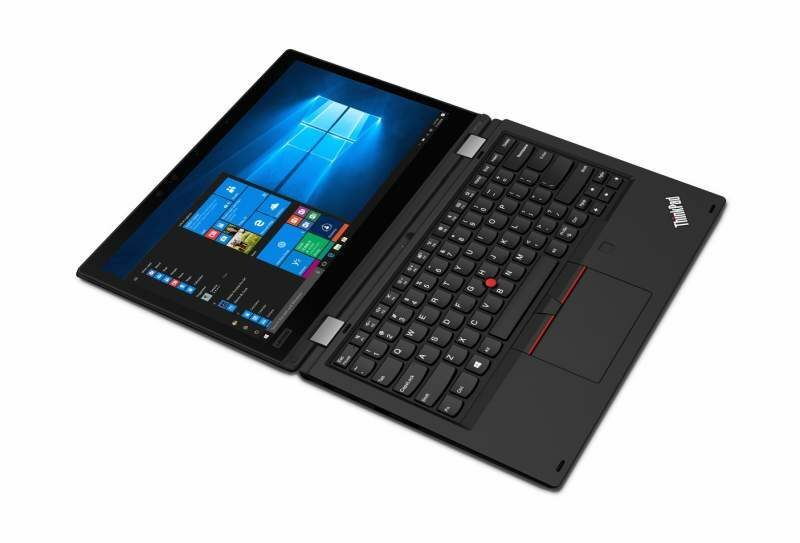 The only deal-breaker for me now is still the keyboard, and even their 6-row (which is not good enough for me) is much better on a Thinkpad that on any other laptop, so in that sense at least, Lenovo still has no competition. Alleged, leaked, new model names and dates : at notebookcheck or at thinkscopes. Dates aside, only thing of note is an X390 to replace the X280 (hooray ! 12.5" is too small, and the bezels were too big - OK, big assumption by me here that this is a 13.3" laptop with a footprint about the same as an X280). Naturally, take it all with a pinch of salt. An X390 to compete with the Dell XPS13 would be nice. Now how about it has a 32 GB of RAM? That would make it a buy for me. And well, exceptional screen (at least in option) would be appreciated, too . That is the case. Since Intel had to postpone the release of 10 nm "Ice Lake" CPUs to late 2019/early 2020, they released a stop-gap measure called "Whiskey Lake". These newer CPUs are very minimal updates of their "Kaby Lake Refresh" predecessors and are still branded as 8th gen. Most likely "Ice Lake" will be featured in the next year ThinkPads. This year, the focus of the ThinkPad updates is on the outer design, not the CPU performance. I bet you it's called Ice Lake because Intel's progress in CPU performance is as stagnant as an Ice Lake. 2. Ice Lake will be the first generation with the new "Sunny Cove" architecture – Sunny Cove and Ice Lake, seems like a contradiction. T490, T490s, T590 leaked details : https://www.notebookcheck.net/Lenovo-Th ... 510.0.html. Pretty much what was expected, though minor reduction in size on the T490 and no swappable battery seems like an odd choice to me - the T490s takes care of a slimmer, slightly less flexible option ? There are some new display options, but I expect Lenovo crap (tm) again. T490s has no longer LAN port. I've ever only used Ethernet through a dock. Not a huge deal for me....and as I assume most other people too. And it's a bulky connector. X2xx series is disctontinued, better than FHD resolution displays glossy only, T490/s soldered RAM only. The soldered only RAM makes almost impossible to get desired specs for individual customers in countries where no configuration options are available. Here you can get 16 GB RAM T models preconfigured with i7 or ridiculously overpriced 1 TB SSD only. The workaround was to get 8 GB RAM, i5, 512 GB SSD model and expand it by 8 GB module. They are seriously pushing me out of the ultraportable market. First they take the decent CPUs out of the 12" models, now removing more features from 14", probably next year there will be no discrete GPU in anything below 15" (outside of gaming laptops from Alienware/Asus/MSI/etc). As someone commented on notebookcheck, glad I got my T480. Been a while since I said 'I wish I had waited for the next generation'. 1: I don't see a need for anything higher than FHD/WUXGA on a laptop in the first place. 2: I've been using a glossy display on my machine for the last 2 months and I can't seem to see what all the problem is about. I haven't seem to run into a situation where a matte display would have made a difference. I'm sorry but I don't happen to have a microscope to read text documents on my phone. I was happy with a 480p display on my phone. Hey everyone, just posting this on a few platforms and see what ThinkPad would win.